Hockey has always been a family affair. Maurice “Rocket” Richard and younger brother Henri “Pocket Rocket” Richard graced the rouge, blanc, et bleu of the Montreal Canadiens. The Howes – seemingly ageless Gordie played with sons Mark and Marty for the defunct World Hockey Association’s Houston Aeros and the National Hockey League’s Hartford Whalers . The Sutters were a hockey team unto themselves: Six brothers – Brent, Brian, Darryl, Duane, and twins Rich and Ron – who collectively played in more than 5,000 NHL games. 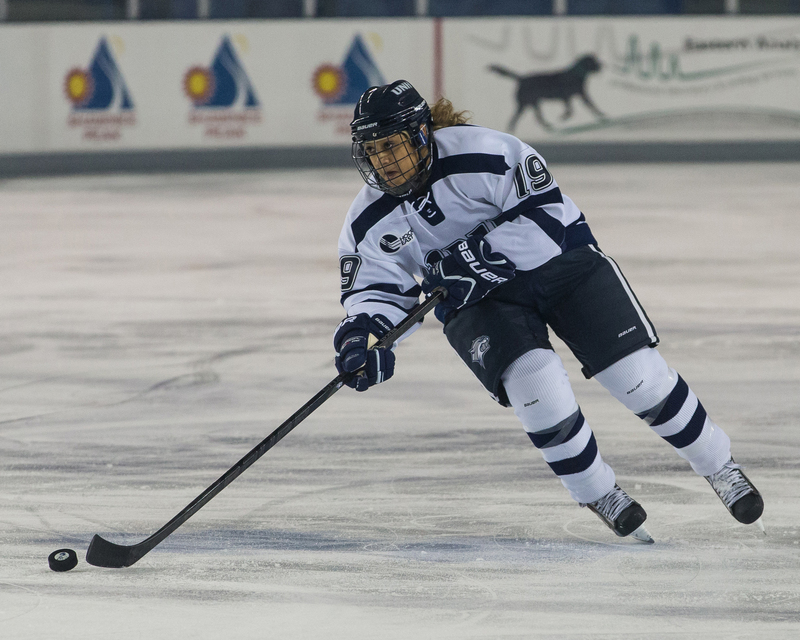 U of New Hampshire’s Cassandra Vilgrain learned hockey from dad, ex-NHLer Claude Vilgrain. Rangers – and identical twins Henrik and Daniel Sedin of the Vancouver Canucks. But there are also new families on the block who symbolize the changing face of hockey, and this week the Color of Hockey looks at some of their stories. In many ways, their hockey journeys aren’t that different from other famous hockey clans who wore out family cars shuttling kids from one hockey tournament to the next, fretted about the high cost of equipment, and watched their sons and daughters blossom from pee wee to pro and college players. But in other ways, their paths to building hockey legacies are unique. With big brother P.K. 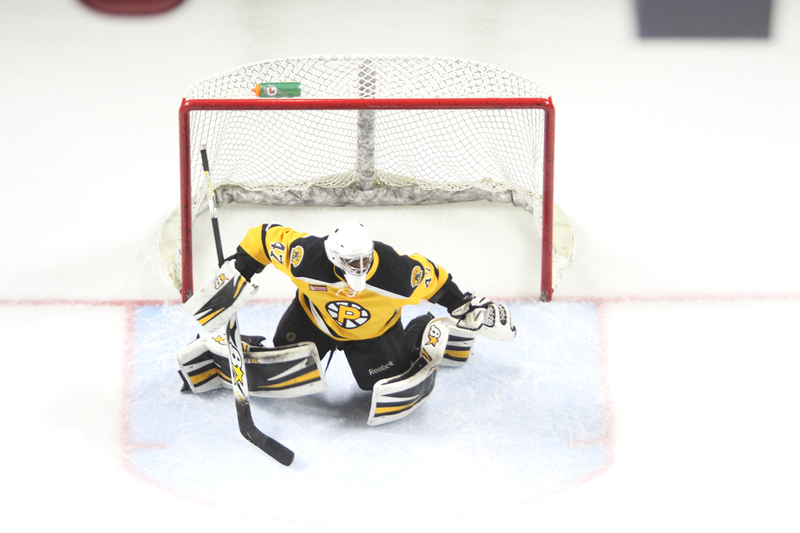 in the NHL, Providence Bruins’ Malcolm Subban waits for his shot at the league. Youngest brother Jordan is also waiting in the wings in Vancouver’s system. This week, we’ll profile the Subbans – Montreal’s P.K., Boston Bruins goaltending prospect Malcolm, and 2013 Canucks defensive draftee Jordan; the Vilgrains – former NHL player Claude and his daughter, Cassandra, a University of New Hampshire hockey player; and the Nurses – Darnell, the Edmonton Oilers’ 2013 first round draft pick, cousin Sarah, who plays for the University of Wisconsin, and her brother, Elijah, a draft pick of the Sault Ste. Marie Greyhounds, Darnell’s Ontario Hockey League major junior team.